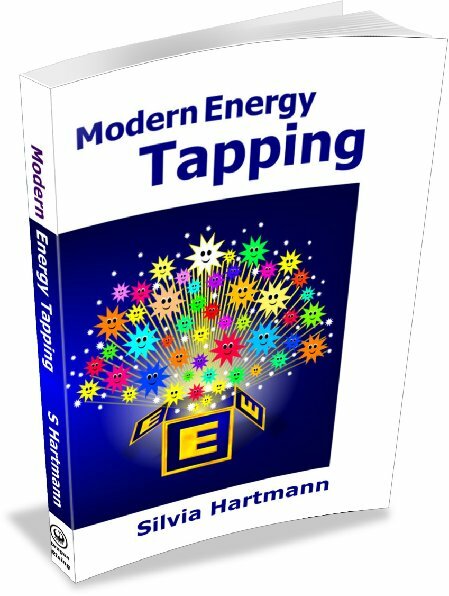 Here is the full content of a presentation given by Silvia Hartmann at the 3rd European Energy Psychology Conference in 2010 on using the breakthrough insights from Events Psychology to expedite EFT treatments, and how to find the "magical opening statements" (set ups) which bring about the EFT miracle experiences. Essential information for advanced EFT practitioners and trainers. Without years of EFT, there would be no Events Psychology. Time and time again, the reason for a problem now was found to be something that happened then, and the right opening statement would unlock this problem from the past, leading to symptom cessation in the here and now in a direct cause-and-effect manner. Now of course, this was nothing new. Pin Point Hypnotherapy had been using this for years, and even the ancient Freudian psychoanalysts had established that what happens in the past to people causes them to behave in a certain way in the here and now. At least with EFT, we could finally tap on it from many different directions and often, or sometimes, find that "magic opening statement (set up)" that would resolve the entire problem just like that. "What happens in a person to make that happen?" We have to go a little bit deeper into the energy system than just taking it on faith that people have body meridians through which energy flows in order to understand that. What happens is that people experience what I have called "an event". This event is a true lightning strike through the energy system which changes the entire energy system in a heartbeat, or actually, much faster than that - so fast, it appears instantaneous. This moment "when my world changed and it was never the same after that ..." is what we call "the event absolute". The event absolute is not just about trauma, but also about enlightenment experiences, falling in love, numinous experiences which we called Guided Stars and which are essential to understand why people do the things they do, from collecting StarWars figures to fetishes, and from the choice of their life partners to what kind of ice cream they prefer. The fascinating thing is that when the consciousness comes back online after an event has happened in the energy system, it will look at the changed system and will comment on the new conditions (good or bad, the structure is the same). These are the metacomments, and it is these metacomments that ARE the EFT opening statements which will unlock the problem group "as if by magic". I hold that any event that has serious repercussions that are still manifesting constantly in the here and now was not fully completed at the time; when we complete the movement of energy through the system, the event is complete and the person is no longer under the thrall of the trauma, or Guiding Star. They are set free to seek out new experiences that would further evolve them, instead of continuing to re-live the past. Indeed, it is the purpose of a person re-living the past in the here and now to draw their attention to this incomplete energy movement which still seeks to be completed, even decades later. When we add Events Psychology to energy psychology treatments such as EFT, we get an extremely focused, extremely accurate way of working with all manner of presenting problems. Events can be both traumas as well as guiding stars; they are structurally exactly the same in how they work systemically. The key to really unleashing the power of events psychology in EFT is to not look for either a trauma event, or a guiding star event; but to simply find THE EVENT which directly CAUSED the problem to come into being. We need to remember that the whole system - the whole energy system, followed in a cascade by the physical systems, the whole neurology and then also conscious thought and all that flows from that - changed in a heartbeat when the event was experienced. If there are problems now, this change didn't proceed correctly; what we are dealing with is an evolution was trying to occur that failed in some way, that did not complete correctly. By dealing with the event absolute and ONLY with the event absolute, we are going straight to the very heart of the problem every time, and will make the most progress. This means not having to be worried about aspects, conflicts, ecology, secondary emotions such as shame and guilt, nor any of the many different physical, mental and emotional manifestations the original event absolute might have caused - when the attention is focused on the event only, we are leveraging exactly the right levels of the energy system which may have been stuck in a state of chaos ever since the event absolute did occur. 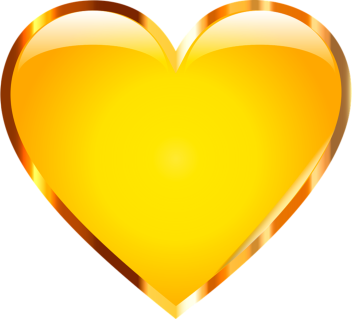 Events Psychology tells us that at some point in the past, the entire energy system was changed in a heartbeat, and new conditions came into being. It is then easily understood that we "can't fix that" - we can't put it back the way it was, it's impossible, a totally impossible task. Take a moment to appreciate the sigh of relief that happens when you understand that, and at some level, you always knew that this was the case, that the old aspects had irretrievably gone and an other had taken their place. So what are we to do with this system that can't be put back the way it used to be? The answer is to do the best we can to EVOLVE the system, to move it towards a new and better state of functioning. This is not only immediately apparent as being doable, we instinctively know that it's the right thing to do as well. "You don't have to solve it - only evolve it!" This is a great relief for both the clients as well as the practitioners - we don't have to make some major problem magically disappear and then get scared of what that will do to a person's life. Instead, we can HELP the energy system evolve, work better, flow more freely and find a NEW operating state, one that is other than what things were like before the event absolute took place. Approaching the energy system with that intention, of helping it to evolve to a better state of operation, once again directs our efforts and those of our clients in the right direction, and we then get this uplifting effect as mind, body and spirit begin to align with a single desire that holds them all together and which is structurally built into every one of us - the desire for evolution. The first thing that Events Psychology brings to EFT is that we can know before we even start that there MUST HAVE BEEN an event to bring the problem into being, or else there simply COULD NOT BE A PROBLEM. This is a very different attitude to "normal psychology" where one is never sure if the client is just making it up, if they're lying, imagining it all, it never happened, false memories, imprinting, disassociation, transference ... and on and on. Here, we have a client, we have a presenting problem and WE HAVE AN EVENT. The very simplicity of that, and the very truth of that, is just wonderful in taking out so many contortions, problems in the relationship between therapist and client, and client to themselves, at that. Now, let's find the event. Most of the time, the event is right there for all to see and know. For example, I saw a lady recently at a wedding who complained of hay fever and made the comment that she never used to get this for 50 years and all of sudden, it started three years ago. I just said, "So what happened three years ago?" She look at me in amazement and answered, "That's when I was diagnosed with skin cancer ..."
"When exactly during that time did something happen that changed your world, turned your world upside down?" "Ah ... it was when the doctor told me there are two kinds of cancer and I have the deadly variety ... I don't remember anything after that, but when I came to outside the office the first thing I saw was a rhododendron bush in full bloom ..."
Two questions, five sentences in all, and there is our event for all to know, to see and realise. What we now have to do in order to really unleash the true power of Events Psychology is to be accurate, precise and specific. We have to ask the lady for the EVENT ABSOLUTE - and that is not in her imagination, it is a BODY SENSATION that tells us about the massive movements in her energy system that took place when the event absolute occurred. "What exactly happened? What did the doctor say, how did that make you feel?" "When he said, "and you have the deadly one ..." it felt as though ... as though a nuclear bomb had exploded in my face and I felt like I was on fire, all on fire ..."
"I thought, I'm going to die, this is going to kill me." And THERE is our metacomment, our EFT set up, the magical one that will absolutely, precisely and without a doubt, impact the presenting problem and then some. You might think that it is difficult to localise the event absolute, based on your previous experiences in searching for "the cause of the problem" and failing to find it, or the clients saying they don't know, or they don't remember. By being precise and specific, down to the very second of the very minute of the very hour, the very day, in that week, that month, that year to track down the event absolute, there is a laser like focus that cuts through a lot - including through the client's confusion, stress and years upon years of vaguely wondering what had happened to them. When you start the session KNOWING that there is an event, and that you can find it when you work together with the client, and that this event is a body sensation that is the direct reflection and feedback on exactly what happened in the energy system that moment, you can find the event in the vast majority of cases. Of course, we can also tap to help the process move forward faster, for example to tap on, "Even though I can't remember ..." - "I don't know what happened ..." - "I don't want to remember ..." and so forth. Either way, keeping focused on discovering the Event Absolute expedites all of this most profoundly. And Events Psychology has another major tool we can use if we cannot find the event - this is to make an events model. In the events model, we work with the client to re-create the event that must have happened in order for the problems to be the way they are as a model, using all available evidence to fix the time and place where the event took place. Events models for guiding stars and traumas are constructed in exactly the same way, always guided by the actual evidence of the manifestation of the problem. It is extraordinary how Events Psychology simply and powerfully puts the cause and effect back into understanding how people work. If someone is frightened of black dogs, but not of white ones, or brown dogs, it is absolutely inconceivable and absolutely impossible that the original event should have featured a brown or white dog - it HAD TO HAVE BEEN a black dog, nothing else will do. Likewise, if a person has a fetish of red, high heeled shoes, the original event MUST HAVE included a red, high heeled shoe of a very specific kind, nothing else will do. It really is as simple as that, and the evidence to build an extremely specific events model that can stand in for the event absolute and reveal the metacomments that MUST HAVE BEEN MADE or else the problem could not work the way it does is absolutely there and accessible. We start building an events model by simply asking, "What do you think would have to have been there for this to be the way it is, right now?" (there are many different words and ways to say this sentence in such a way that the client will understand that). In the case of the shoe fetish, there had to have been a red shoe. It would HAVE to have been at least with a heel of 4 inches, but 6 inches is too high - the client KNOWS and REMEMBERS in his body NOW to give us the feedback on the EXACT shade of red, the EXACT shape, the EXACT measurements. At some point, the model *becomes* entirely indistinguishable from a "real memory" - there is a threshold breach that occurs and the client will be able to tell a complete events story that contains the event absolute and the metacomments, which can be treated like any other event. Events models can be built from absolutely nothing other than the evidence of the problem and its manifestations; and events models can also be built from memory fragments, where a client might only remember a flash, a single scene, a face or object that seems out of time and space, and unconnected to other memories. Once we have the events model, we can use it to generate the "magic opening statement" that when we apply it to the problem, will bring about an evolution for the client. No matter what energy psychology method you are working with, we want the client to experience as little stress as possible. For Events Psychology we want lucid clarity, clear recall and a client who is ready and able to do their part from their end to evolve the problem systems onto a new level. When people get stressed or distressed, reversed, scared, frightened, angry, try to side track away from the real event by offering all sorts of objections or even other juicy events instead, we must take the time to return the client to a calm and rational state of being. This is a wonderful thing and an integral part of events psychology; it allows us to enter into memories that would have been previously totally out of reach because they would have been way too frightening to get even near. When you know there is a central event that happened ONLY in the energy system of this one person, and this event holds the key to their future evolution, you can take your time in moving the client TOWARDS the event memory in small steps and only as fast as the client may remain stable, engaged, excited even about what they are learning and discovering along the way. Working with events psychology is incredibly rewarding. It is a real eye opener into the very logical, very structural NATURE of people's mental and emotional disturbances, and how their daily actions flow from those in such a perfect and perfectly predictable cause-and-effect fashion. This reduces the therapist's fear of the client considerably, of this one right here, and all the others still to come. It gives the therapist a clear set goal to work towards - to evolve the energy system that got stuck at the moment of the event absolute. This goal is completely doable and achievable; and it means that ANY evolution in the system is a success. The client must have an event, a new event, somewhere along the line of the treatment. This may be a small event, a small shift - a shiver going through the client's body, eyes opening wide, intakes of breath and saying, "Oh my God ... now I understand why ..."
Or it may be a huge event, with the client literally leaping out of the chair and dancing around the room, shouting for joy at the top of their voice and crying tears of happiness. Either way, now the therapist can SEE, HEAR AND FEEL when "something has happened" and then, they can KNOW that they have helped that person on this occasion. Now, you don't have to make these change events happen every time you meet a client; you can take your time, do the de-stressing work and set it up over a period of sessions so that eventually, you flick that metaphorical domino stone and the event happens that will evolve the client and unlock the next stage of the client's incarnation for them in that moment. Events psychology makes it EXCITING to deal with clients. There is no way you can be in a room with someone having a change event and not get a charge of energy from it, a lifting and an excitement, which of course in turn has EVERYTHING to do with the therapist's self esteem, and how they feel about themselves and their work. The beauty about Events Psychology is that the evidence that this is correct, and it works exactly as described, is all around us. You don't have to adopt a full on Events Psychology approach to your work with clients immediately; that's not necessary, possibly not even fully desirable. Keep Events Psychology in the back of your mind and notice when the client starts talking about their problems, start training your mind like a detective to follow the clues backwards to the originating event. Look at the clients, what they're wearing, and wonder what events might have shaped their choice and style of dress, how they wear their hair today. Look at people's homes where their events are made visible by the artefacts they surround themselves with, because behind each artefact lies an invisible event of which the artefact is but a symptom. Be amazed how structural people are, even "crazy people" that no-one else seems to understand. Learn to spot events EVERYWHERE. Learn to spot specific events “that changed the course of history in a heartbeat, and forever” that happened in a family, in a company, in an organisation; in a science, in a religion, in a society, in a whole country, and how the repercussions from that event continue on today, regardless of whether this is desirable or even healthy. When you are ready, incorporate a little something from Events Psychology into your practice, whatever therapy you might want to do, and certainly, in your personal development endeavours. People are so logical and so understandable when you factor in the energy system and how it works, and I personally feel immensely blessed to be around in a time where finally, we have the real tools to understand ourselves, and other people - and more than that, evolve ourselves beyond our own events and help others do the same.